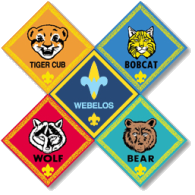 Pack 433's first Pack Meeting of the 2014-15 school year will be Thursday, September 18th in the Copeland Elementary Cafeteria. It will start at 7:00 pm and conclude around 8:00 pm. 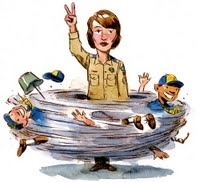 We will be discussing the new scouting year, fall camp-out, and popcorn sale which starts the Wed. Oct. 1st, and have an activity for the Scouts. Please come to Copeland Elementary to signup your son to Cub Scouts!